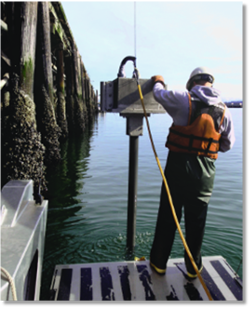 Our scientists and engineers all provide 20 - 40+ years of experience conducting a wide range of biological, hydrological, and sediment investigations, with a special focus on aquatic environments. Our staff have prepared and implemented monitoring programs for a wide range of fish, invertebrate, and plant species. We have particular expertise in analyses of Endangered Species Act listed species (BEs & BAs) to achieve approval of both freshwater and marine actions. These efforts have commonly involved habitat restoration design to avoid or mitigate impacts of proposed actions. We provide information in the form of maps or other data visualization to aid decision making, and provide technology solutions that combine environmental science information into tools that meet client needs. Our senior associates each offer decades of experience conducting chemical, biological and physical site investigations on behalf of clients needing federal, state and local agency project approvals. Our staff are experienced in the removal of old creosote treated timber structures that are common in Pacific Northwest ports, marinas and waterways. Many of these structures are past their useful life and must be removed to allow efficient continued shoreline operations. Our staff has experience in a number of freshwater monitoring, evaluation, and restoration projects in support of salmon habitat, water quality, and biological diversity. Our wetland habitat design efforts have provided freshwater wetlands and saltmarsh habitat that restores functions necessary to support reproduction and natural rearing conditions for aquatic species, including endangered fish and wildlife.